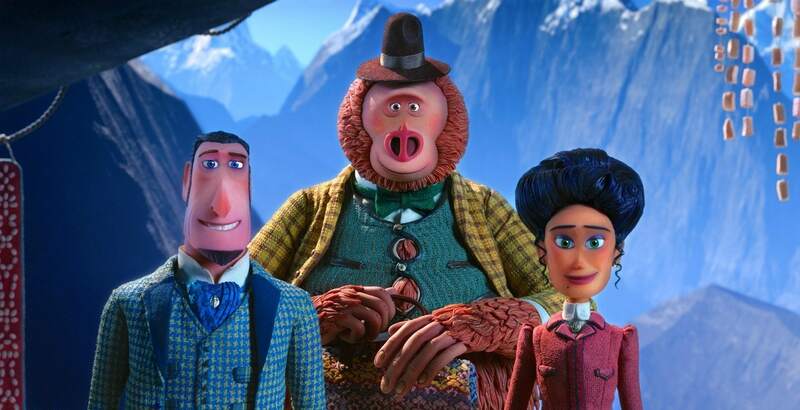 The latest stop-motion animated feature from LAIKA Studios, Missing Link, releases into theaters on April 12. Last weekend I had the opportunity to screen this adorable movie and get the inside scoop on the newest film. 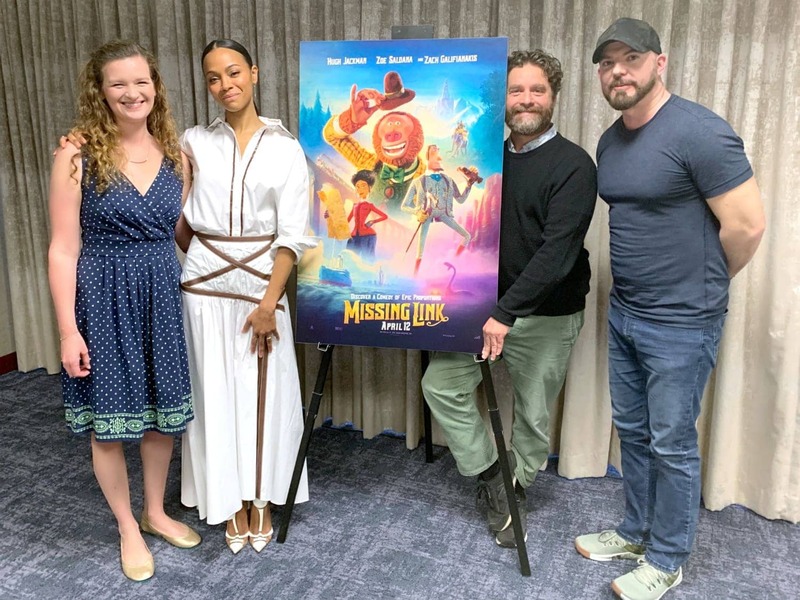 Today I am excited to share with you my interview with actors Zach Galifianakis, Zoe Saldana, and Director Chris Butler. Get ready for a good old-fashioned adventure! Missing Link brings the audience along on a quest for one lovable Sasquatch to find his only living relatives. I will be bringing you a full review of the movie early next week so be sure to check back! 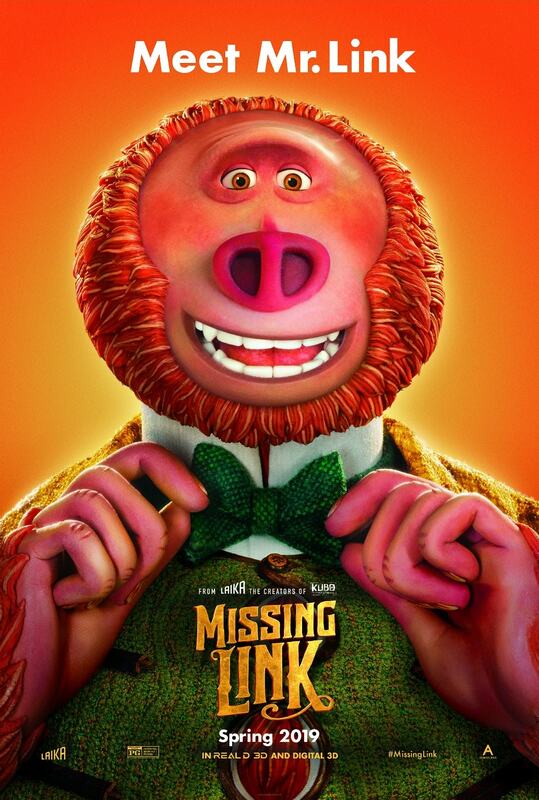 If you missed it, be sure to check out the trailer for Missing Link. I was pretty confident that sitting down with Zach Galifianakis, Zoe Saldana, and Director Chris Butler was going to be a fun time, and I wasn’t disappointed. It started with Zoe and Zach talking about their kids being at the press event and it immediately bonded me with them. I was excited to get their take on this film, it being a family-friendly movie that I know all our kids will enjoy. This project began about fifteen years ago with writer/director Chris Butler. He talked to us about how the film started with a few doodles of a “Hairy Avocado with legs”. He kept coming back to this drawing and eventually this avocado turned into Mr. Link. At the end of filming ParaNorman (2012), Chris brought three ideas to Travis Knight, the president of LAIKA Studios, for consideration. He said he didn’t say much about the three stories, he just told him to “Pick one”. Luckily Travis picked his favorite and it turned into Missing Link. He said he loved it because it was a different story than they have told in the past. This film has adult protagonists and it is brighter and bolder than their previous films. Mr. Link is the main protagonist in the film. He names himself Susan and is absolutely charming. Chris Butler chose Zach Galifianakis as his first choice to voice the character. Zach told us he was pretty excited to play a “hairy avocado”! Zach talked to us about what he likes best about his character. He loves Susan’s innocence. He says he finds it refreshing. While it is a lot of fun to voice a LAIKA character, Zach said the real magic comes in animation. He admires the way the animators are able to construct the face of the puppets with his voice. He told us that the animators are the ones responsible for making him interesting. I personally appreciate the fact that this movie didn’t have a love story entwined into it. I think we were able to focus more on the adventure and the friendships between all the characters because of it. I felt like Adelina was a character that I could be proud to introduce to my daughter. She is a strong, fierce woman who held her own throughout the film, who also had to go through some hard things in life. There is a message in any good film for the viewer if they are willing to find it. Missing Link had many different concepts it addressed, from nature, personal acceptance, family and friendship. Chris Butler wanted to explore the notion that family isn’t just the family you are born in, friends can also become family. He does a nice job showcasing that in the relationship between Susan and Sir Lionel. It is really heartwarming. Another message Chris really wanted to portray is about self-identity. I think that the message was loud and clear and beautifully created in this heartwarming film. You can see the adventure for yourself next week when Missing Link releases into theaters next Friday. For a fun behind the scenes look at the puppets and sets used in Missing Link be sure to check out my friend Keri’s behind the scenes tour of LAIKA studios! Stay tuned all next week for more Missing Link coverage leading up to the premiere on Friday!